Thornhill Broome is one of the few beach-front campgrounds in Southern California, making it pretty busy on weekends and during peak season. The 31-foot long camp sites allows you the unique experience of camping right on the beach. When you enter the campground you will be assigned a campsite. And it is dog-friendly, but don’t forget your leash! The water at Thornhill Beach has a reputation for strong rip currents, especially around Tower 10. 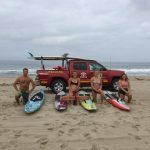 Lifeguards patrol year-round, with towers open from Memorial Day to Labor Day, and on busy weekends. Always use good judgment when entering and swimming in the ocean. For any State Park you choose to camp at in Malibu there are common regulations for booking, group size, and State Park access to be aware of. The maximum amount of people per campground is 8 people and allows 3 vehicles. Larger groups are considered “group camping” and have different regulations and fees. Once you decide on your park, you must book at least 2 days ahead of time but can be made up to 7 months in advance. New dates are released in blocks, 1 month at a time. When camping, a major perk is all day access to visit any other State Park in the area. 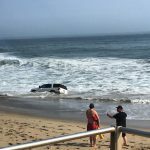 For Malibu, access includes Sycamore Cove, Sycamore Canyon, Point Mugu Beach, Leo Carrillo, El Matador, El Pescador, La Piedra, and Malibu Creek. 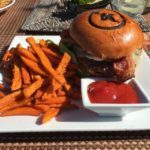 As for food options, the closest restaurant on the north end of Malibu (near Leo and Point Mugu area) is Neptune’s Net for the fresh catch or a burger. We suggest stopping at the closest grocery store, Vintage Grocer, for your campfire BBQ essential and snacks. The closest gas station is the Chevron at Trancas.